Several people ask us about the history of Live-Bio. So we decided to write a blog post and share it with everyone! 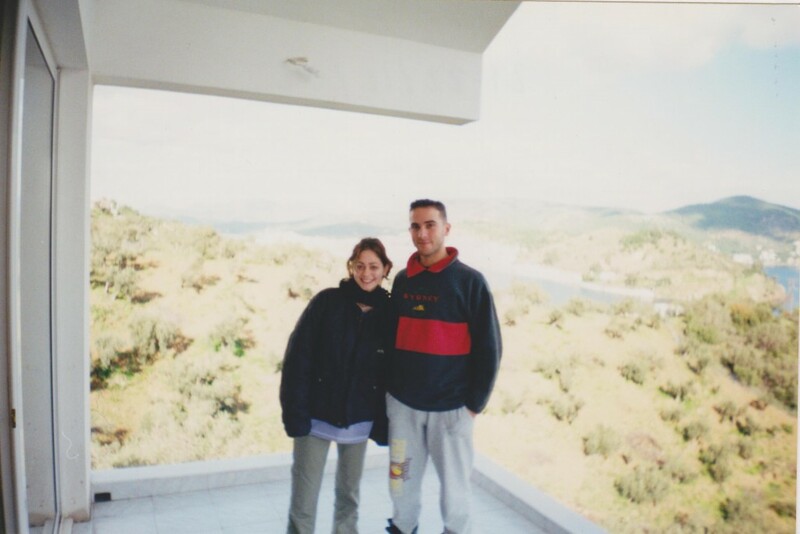 As a family we do not have any relationship with the region of Poros. My grandparents come from the Cycladic Islands (Syros and Kimolos) and from Sparta. 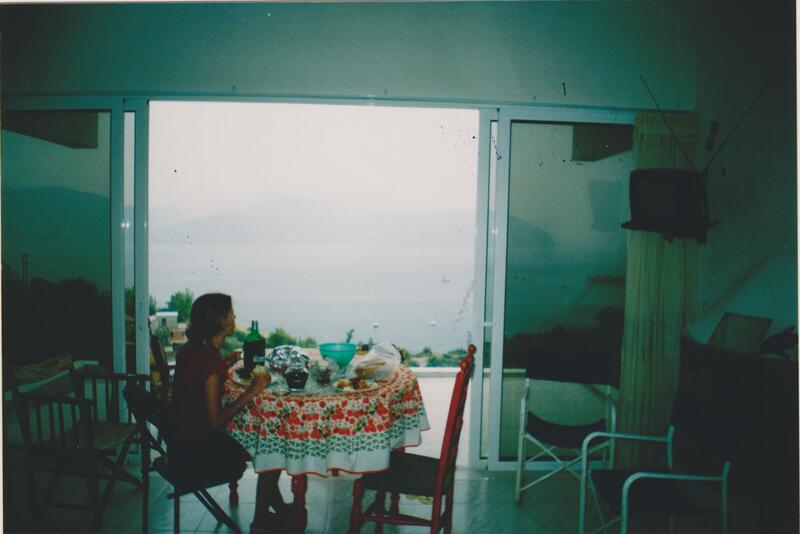 Both my parents and I were born and raised in Piraeus (the port of Athens). In other words, we have never had any relatives or other connections to Poros. 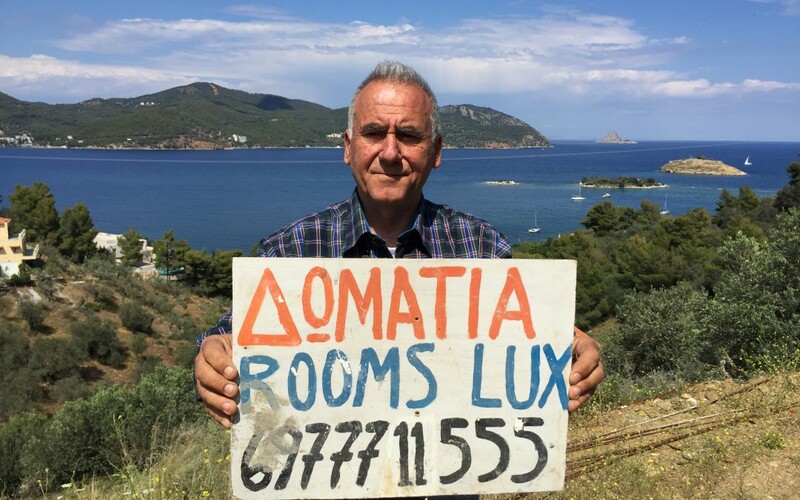 As a matter of fact, my grandparents were some of the first tourists on the nearby island of Aegina where they bought property in 1954 for 3000 drachmas (the equivalent of 8 euros in today’s exchange rate), and where I spent all of my summers growing up. Having said all this, the beauty of the landscape and the warm blue of the Aegean Sea are hard to ignore. 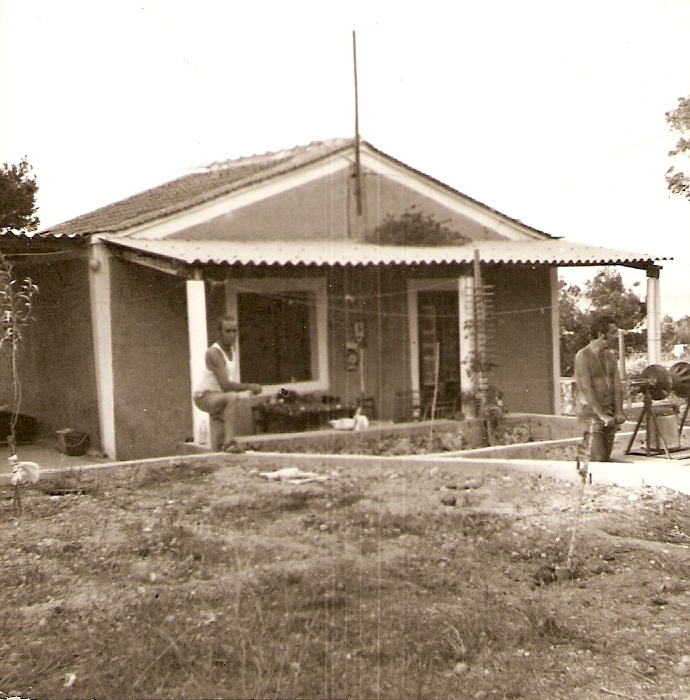 My father, Michalis, drove past the area about 30 years ago. He decided to sell a piece of family property near Sparta and purchased, along with his cousin, the plot where Live-Bio currently stands. This was the beginning of the history of Live-Bio. It took many years for construction to commence. 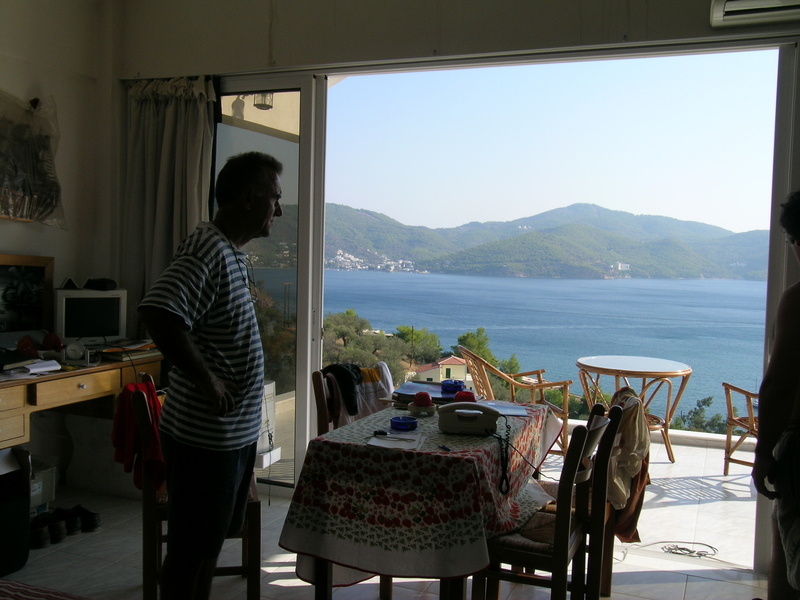 Michalis’ goal was to develop the property with personal labour and own funds, without any borrowing. His intention was to build a business that would supplement family income, offering affordable accommodation to local holiday makers with beautiful views. However, scarce funding and the associated slow development process meant that the dream was in a constantly unfinished state. The first room to be completed was the westernmost one, which was used by Michalis as a home and by the family as a brief holiday stop over. This same room was also our home for the first 9 months at Live-Bio, while our home was under construction. I personally rarely spent time on the property up until last year, as Poros was just a stop over where I would pick Naziara up from in order to satisfy my longing for the Aegean blue. The property experienced several years of subsistence, with progress becoming slower and slower. At some point Michalis got disheartened and moved back to Piraeus, depriving the property from its only source of labour. The buildings started losing their shine and the land ended up being anything but looked after. Three years ago, I decided that corporate life is not for me. I wanted to engage more with nature, to be close to the sea, to use my hands and spend time with interesting people not necessarily conversant only in financial instruments. Ironically, I took this decision at the very same place where I type today, Magdalena’s parents’ home in Gdansk, Poland. 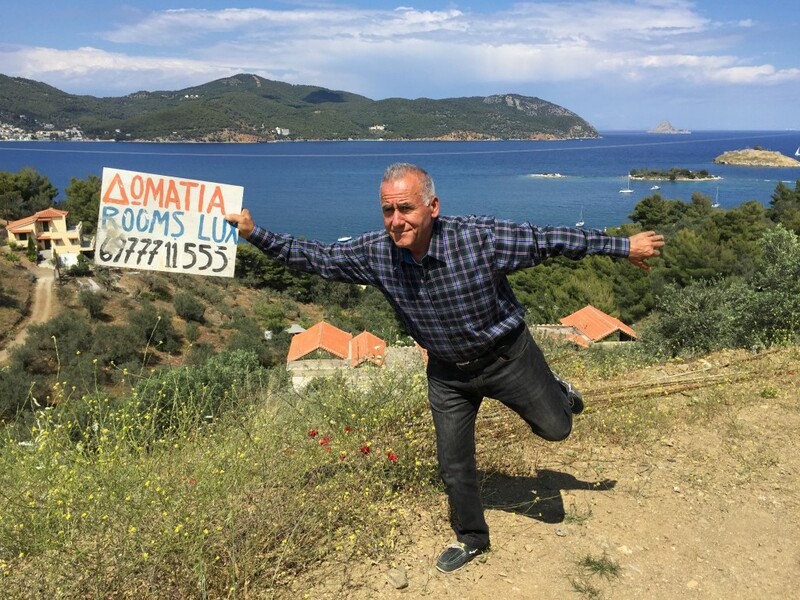 We moved to Poros in April 2015, started renovating everything and building a brand from zero. The history of Live-Bio is now its present. And we are happy to be shaping it with all of you!